But just looking at a map of Kenya’s agro-ecological zones shows why last month butter vanished from the supermarkets for several weeks. Most of Kenya—83%—is classified as arid and semi-arid lands. They include 30% of the country’s population, or 14 million people. Although the priority during the drought has been on milk production, fresh milk was also nearly impossible to find. “All the cows are dead,” people say. And in and around Lodwar, the capital of Turkana County, there isn’t a cow to be seen. According to a report from the Kenya National Drought Management Authority, herders have moved their cattle—at least the ones that could make it—to northern Uganda in search of pasture. The NDMA also reports that despite scattered showers in early May, the long rains that usually fall from March to June have not come. Any sprigs of green that appear are short-lived. Hunger will only tighten its grip. 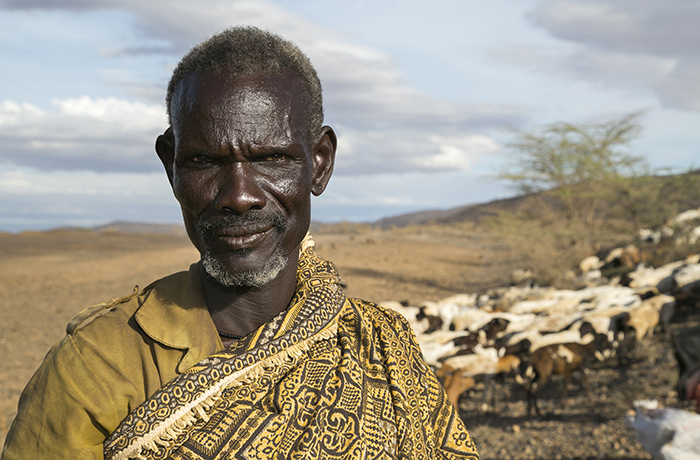 By August, some 3.5 million people will need food aid to survive until the next rains come. Many of the goats in Turkana, hardier animals that can eat even the toughest thorn bushes, are dead, along with the cows. 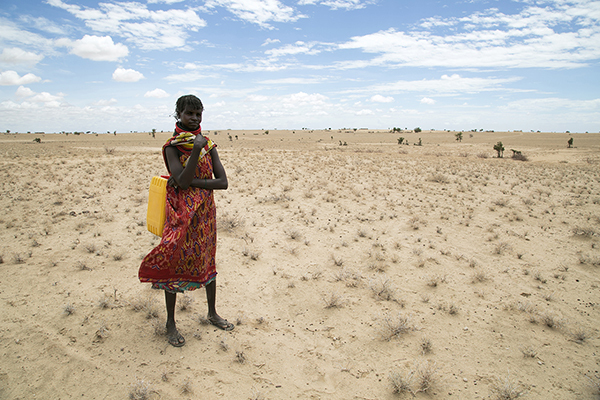 In the Turkana hinterlands, people are walking the entire day just to fetch water. Amazingly, Turkana has considerable groundwater sources, and although they aren’t extremely deep, tapping them is expensive; and systems of pipes, pumps and storage tanks are not always in working order. People in one village had to trek 5 hours to reach water when their borehole broke down. Tragically, water service was not repaired in time to save some of the villagers. “We lost especially our elderly women, who couldn’t make it that far to the river,” says the elder of Lolupe. “Three of our older women died,” says Namoru Lokeno Kokoi, whose national identity card says he is about 60. The whole village temporarily relocated to the banks of a distant river that, unlike most of Turkana’s seasonal rivers, hadn’t dried up. The Turkwel River, which runs through Lodwar, is the region’s sole perennial river. Thanks to Catholic Relief Services support, the borehole in Lolupe was among those repaired by the Diocese of Lodwar, under an emergency program to respond to Kenya’s hunger crisis. The villagers have since returned. But their story is by no means unique. People walking in the middle of nowhere with empty jerry cans to fetch water all have similarly harrowing accounts. “I walk 3 hours to get water over that way,” says Akai Akiru, gesturing across a blaze of white sand. She says she lost all her 40 sheep and goats to the drought. Then, she walks 3 hours to get back, carrying a jug that holds a little over 5 gallons on her head. That, she says, is her entire day, because she is too exhausted to do anything else afterward. She, her husband and three children survive on wild doum palm fruit, which is nowhere to be seen. CRS has responded to this emergency by providing $100,000 to the Diocese of Lodwar to cover costs for materials, supplies, transportation costs and recruiting technicians, engineers and other personnel for rapid response teams covering a vast expanse of terrain. Funds have also been set aside to restock lost livestock after the worst of the drought. In this harsh environment, crop farming is only possible along river banks and where water has been tapped for irrigation. In essence, the animals are most people’s only currency, and right now they have nearly nothing in the bank. Even the camels are dying. When people can manage to sell a few goats, they fetch a measly price. In Turkana, what strikes one almost immediately is not only the extreme scarcity of water, but also the mismanagement of it in these extremely resource-poor settings. Without troughs, villages often open spigots and allow water to flow onto the ground for their animals to drink. So, CRS and the diocese are building troughs in Lolupe and other areas to conserve water. Ironically, in neighboring Aterika, where another borehole was recently repaired by the diocese, a village elder laments that a huge amount of rain had come down over the weekend, after more than a year. “What can you do to help us now that all of our animals were washed away in the waters?” he asks. Every animal they had left had drowned. “There should be no water scarcity in Turkana County, if only the water resources were managed efficiently,” says Joseph N’ganga, manager of the Diocese of Lodwar Water Project, implemented in partnership with Turkana County and the local water authority. In 2010, Kenyans voted to devolve many state functions to the county governments. Most people living in these traditionally marginalized communities say there has already been a huge improvement in services. In addition, through a project funded by the U.S. Agency for International Development, CRS is fitting hundreds of boreholes across Turkana with remote sensors, which can alert technicians in Lodwar to potential borehole breakdowns in a matter of seconds. This work is done in partnership with the Lodwar Water and Sanitation Company, the county government and SweetSense Inc., a Portland, Oregon-based company. “Initially the information was being relayed over mobile phones,” says Lauren Stover, senior program manager for SweetSense in Nairobi. “But we realized quickly that in remote areas of Turkana, there were no mobile networks, so we’ve switched to using satellites to ensure connectivity,” she says. 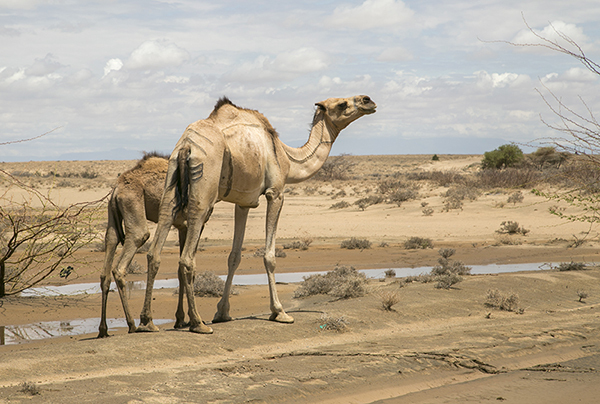 “Turkana County is known to have substantial ground water potential that could cushion communities against the unreliable rains and the effects of drought,” says Styvers Kathuni, water, sanitation and hygiene program manager for CRS in Kenya. “Over the next 3 years, CRS is keen to work with the Turkana county government, the Diocese of Lodwar and other stakeholders to support water point mapping and to strengthen the coordinated approach to water resource development,” he says.